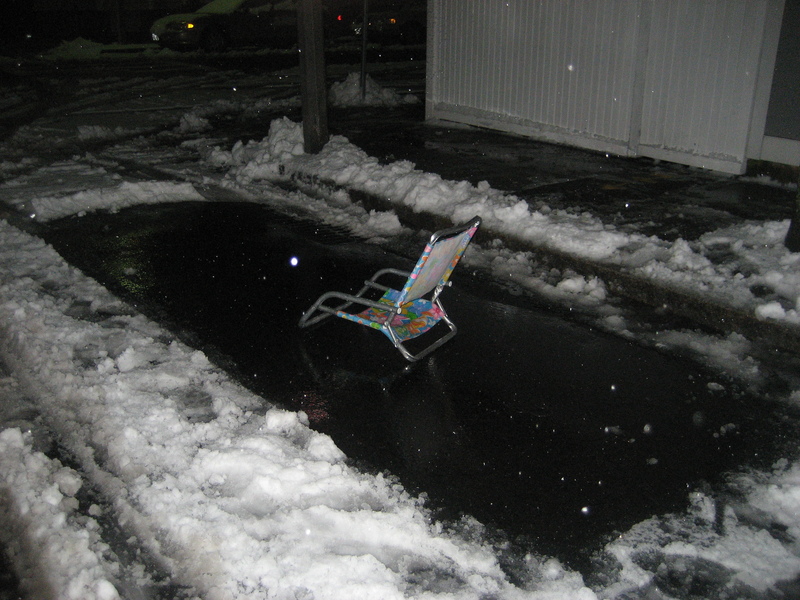 …about the snow this time!! 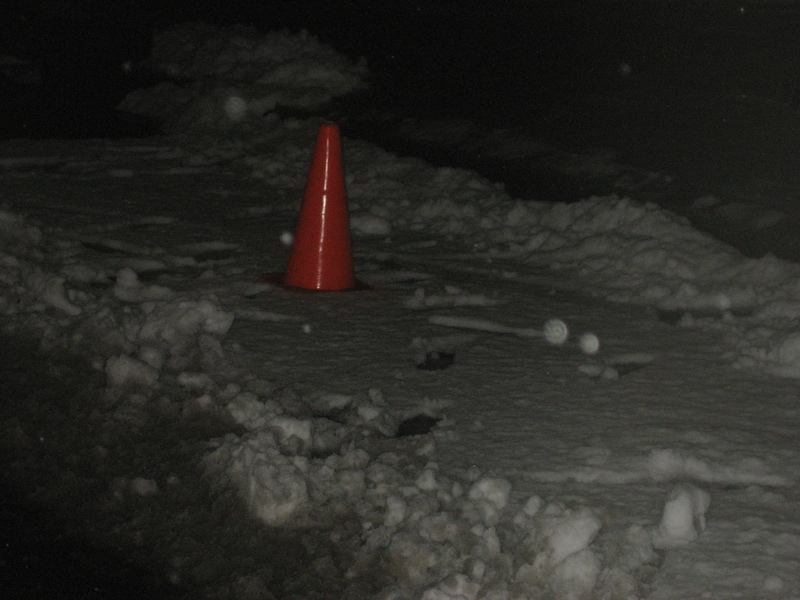 We only got a few inches, but it is always so pretty when the snow is falling…until I get home to Southie and people have marked their spots with cones and chairs, etc! UGH! But I got home, found an unmarked parking spot and was ready to make dinner. 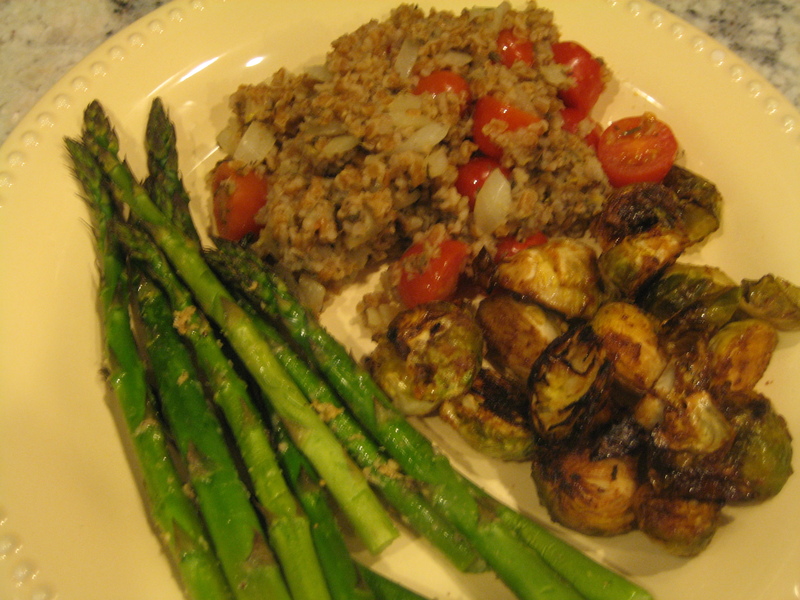 I felt like some delicious green veggies tonight, so I roasted some asparagus and brussel sprouts, and cooked up some barley which I seasoned with lemon and herbs. 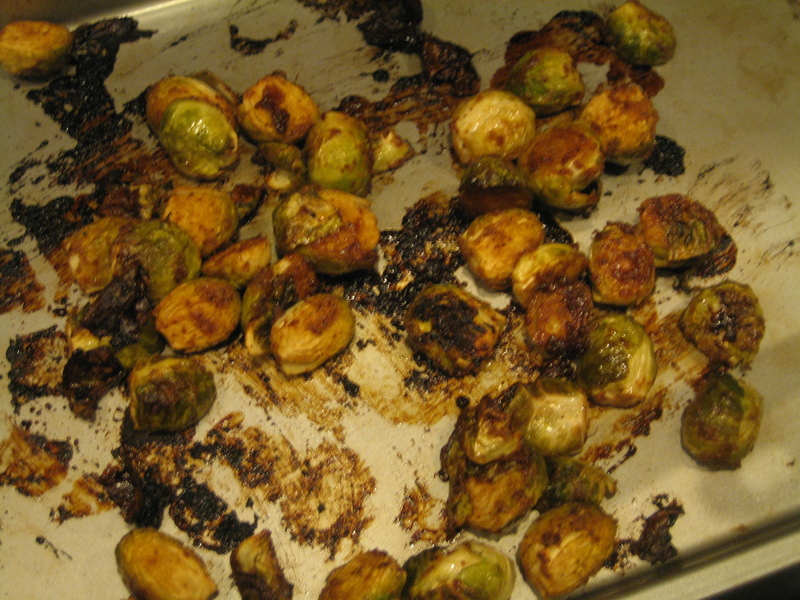 I made roasted brussel sprouts in mustard sauce again, since they were such a big hit the first time around. 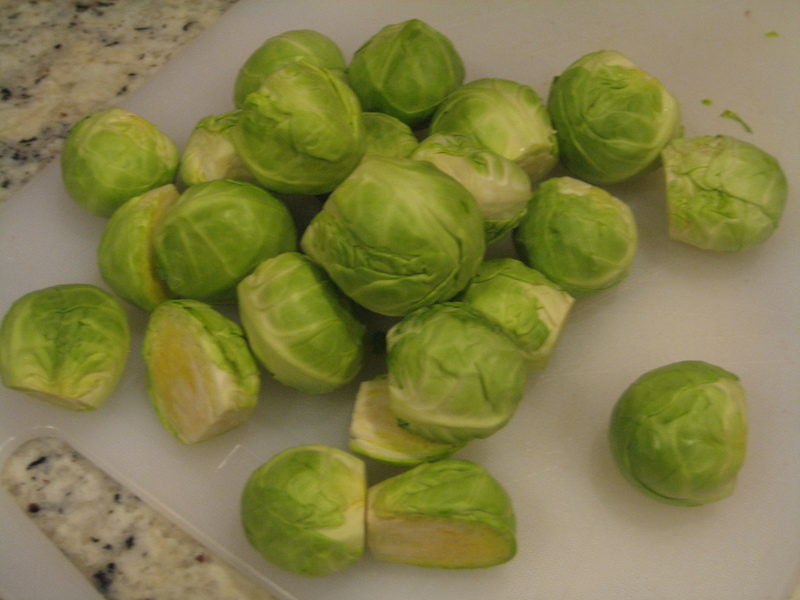 I cleaned up the brussel sprouts. Then, mixed them with mustard, brown sugar, sesame oil, salt and pepper and spread them out on a cookie sheet to bake at 400°F for 25 minutes. Yum! They came out caramelized and crispy and even better than last time! 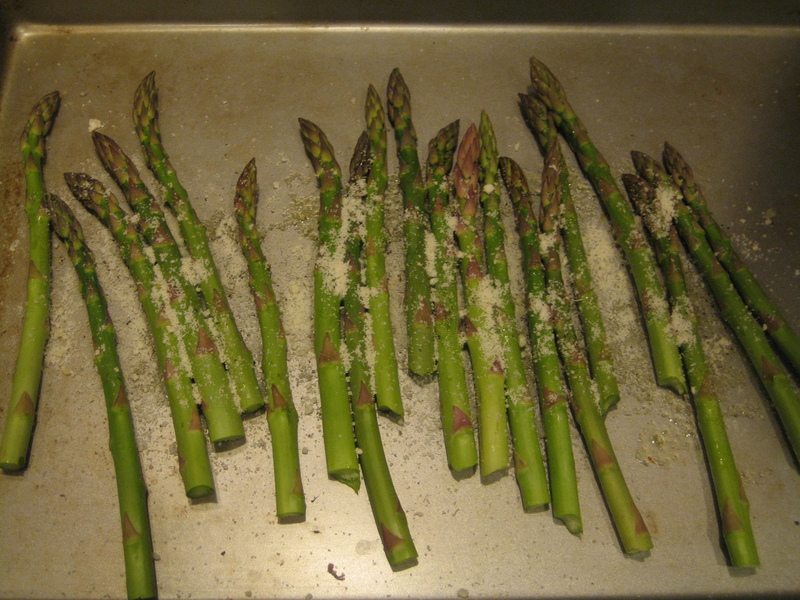 Lay out your asparagus on a cookie sheet, drizzle with olive oil, sprinkle on parm cheese and season with salt and pepper. Bake at 400°F for 10-12 minutes, or until roasted. I already had my brussel sprouts baking, so I just popped this cookie sheet in when they had about 10 minutes to go. 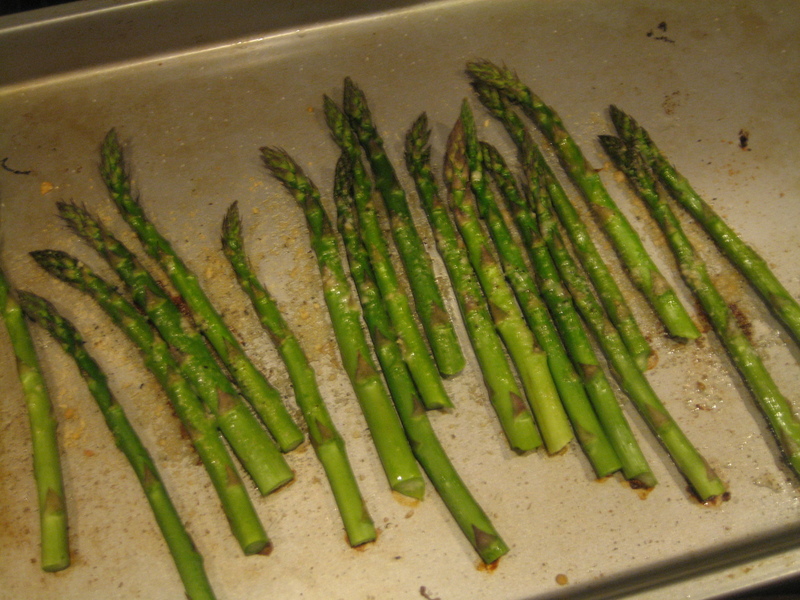 This is such a quick and easy way to cook asparagus. My husband and I love it! Boil 2 cups of vegetable stock. 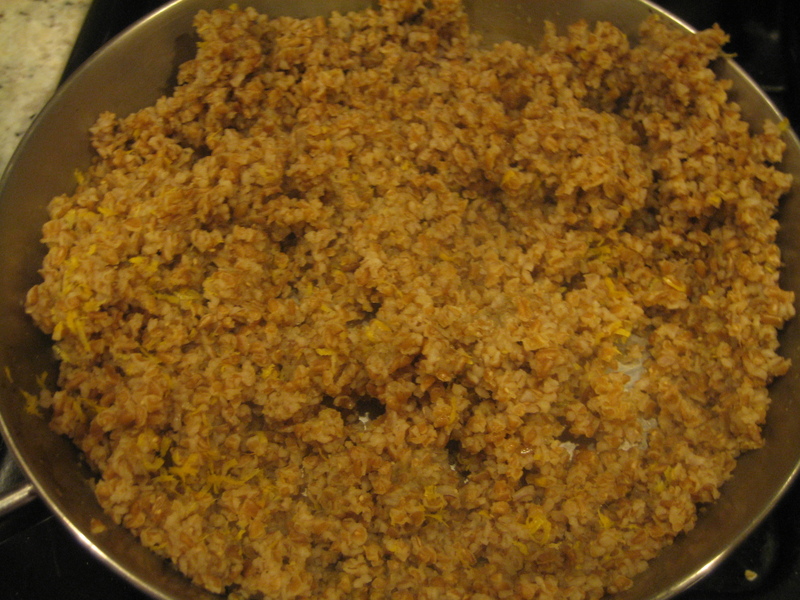 Add barley, cover and simmer for 20-30 minutes. I have found that the cooking times with barley really vary for some reason! Check your barley every so often. You may need to add more vegetable stock if the barley is not tender enough. I cook long enough so that it is al dente. Meanwhile, heat olive oil over medium heat. Add chopped garlic and onion. Cook until onion is tender, about 5-8 minutes. 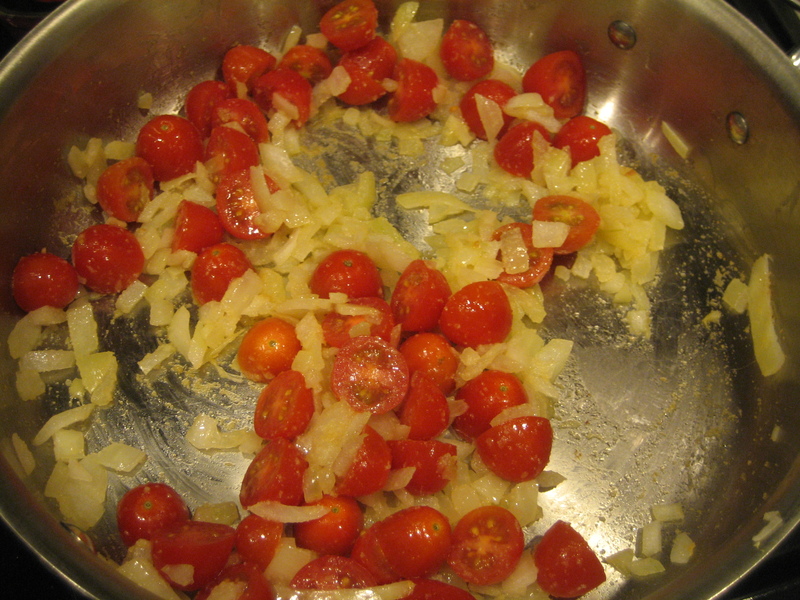 Add grape tomatoes and cook until warmed through. 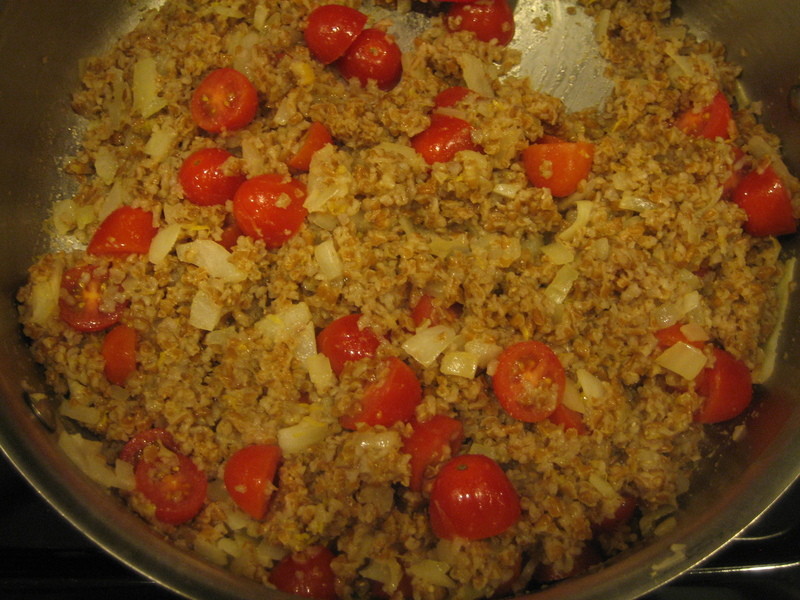 Once barley is cooked, remove from heat and add to the onion/tomato mixture. Stir until combined. Add lemon juice and zest to the mix and stir to combine. Then, add thyme and mix. Serve with roasted asparagus and brussel sprouts, or your veggie of choice! This was a great dinner. I adore vegetables and grains, so anytime I have a meal combining the 2 is phenomenal in my book. I make sure that everything has a lot of good flavors, but that they don’t overpower each other. 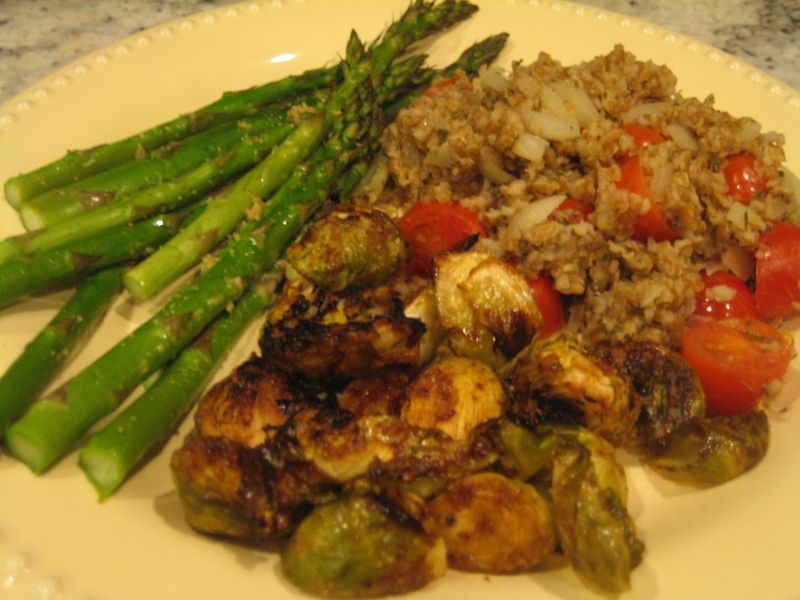 The barley salad was very lemony, which worked well with the mustard brussel sprouts. 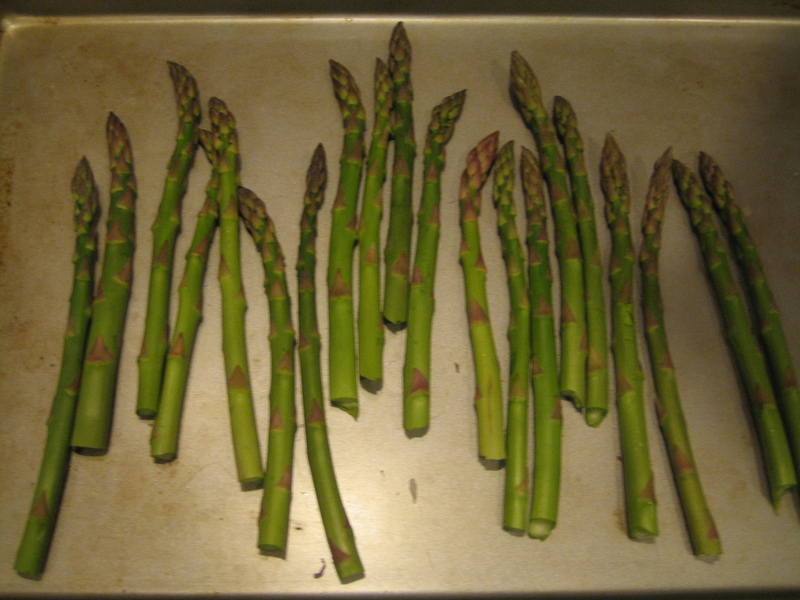 And, the asparagus was so simple, that it could be served with anything. Loved this meal!